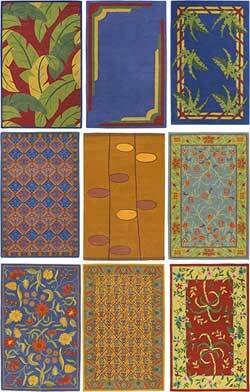 With such high fashion in an affordable rug category, SURYA has truly created a new category of rugs to be used as accessories or “Decorative Rugs”. Our rugs are designed for the consumer with discriminating taste in styles ranging from Traditional to Transitional from Contemporary to Tribal. We work with top designers and constantly update our designs and color palettes to match and set the trends in design and fashion for the home. With its strong focus on product development and innovative manufacturing techniques, SURYA continues to push the boundaries of color and design.